Recently I attended a talk on geysers and was blown away when I heard that turning off your geyser actually DOESN’T save electricity and therefore actually DOESN’T save you money. Really?! These were professionals talking but still.. I thought I’d turn to trusty Google to confirm whether this outlandish statement was the truth. Turns out they’re right – in most cases anyway! Your geyser is like a big kettle. It has an element inside that heats the water up to a set temperature. When a hot tap is turned on, hot water is released from the geyser and cold water rushes in to replace it. As the water temperature in the geyser has now decreased, the element kicks in to heat the water back up to the set temperature. When no one is using hot water the temperature of the water should remain the same as no cold water is being let in. However heat will ‘leak’ out of the geyser into the surrounding area and the rate of the heat leak depends on the quality of your geyser’s insulation. These heat leaks cause the water temperature inside the geyser to gradually decrease and the element kicks in to reheat the water when necessary. So the argument for turning your geyser off when you are not at home is that the element will not periodically kick in to heat up the water and therefore you’ll use less electricity. But this doesn’t take into account that once switched off, the water in the geyser eventually cools down completely and when switched on again, a huge amount of energy is required to heat the water back up to the set temperature. In most cases, more energy than if the element was periodically kicking in throughout the day. Ensure your geyser and water pipes are properly insulated – ensuring that heat leak is lessened. Thank you very much about the information. it realy helps us to save energy and money. Even better; install a timer that switches it on & off for you – battery suported if the power goes off. This information will increase more and more people to know about all this electric water geyser.Very Nice Post.it’s very nice blog and this is very useful for me thanks. In a world where all things are equal one could categorically state that something is right or wrong, unfortunately that is seldom the case. Where we live our electricity consumption is monitored during “Peak”, “Standard” & “Low” times of the day. The cost of electricity during P, S & L varies significantly. It stands to reason that having your geyser switched on for an hour during Low cost times and especially if your thermostat is set at an optimum temperature is the right approach in our case. @ R300 each incl. VAT & posting in S.A. I asked this ” switching on and off” question at a recent geyser presentation by Ecotherm and was told that a geyser thermostat cycles on and off regularly as it watch dogs your geyser temp so a couple of extra on-off switching daily means very little to the life time of your switch . Electrical apparatus such as thermostats have a certain lifespan and with it switching on and off will obviously shorten it’s life. Geysers have a hysteresis curve(on & off cycle) of approx. 10 degrees, with that in mind your geyser will be going on and off more than a few times each day. The most prudent method of saving electricity and increasing your geyser and it’s peripheral components lifespan is using a timer, where you are in control of the switching on & off cycle. It’s just very logical to those of us that are not trying to sell you something, but have seen the results over many years. Nothing is made to last nowadays because it generates spares sales for the manufacturer. I’m expressing my 30+ years of practical experience and not attempting to make anyone look bad. Richard is quite correct and I am also not trying to sell anything to anybody. 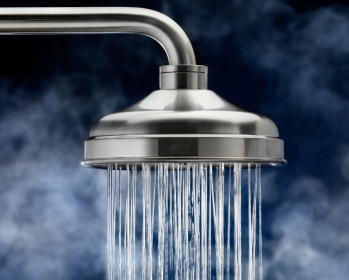 If anything, having a timer on your hot water cylinder will increase the life of the components, not only the thermostat at a reasonably low replacement cost but also the element at a huge replacement cost. Don’t let anyone tell you otherwise, fitting the correct timer and setting it to suit your needs will save you money in the short term on power bills and the long term on the repair bills to the cylinder and it’s parts. I been involved in the plumbing, solar & heat pump industries for over 30 years. One important fact not mentioned so far is, the shortened life span of the electrical components constantly switching on and off. Most households will save on power consumption and repair bills by switching the geyser on less often. No. Switching off your geyser does NOT save electricity and costs. I’ve tried it in our home and I experirnce. Surely it all depends on how many people there are in a household? I’m on my own I switch my geyser on when I get up in the morning. It takes little more that half-an-hour to heat up for my shower – and I swich it off after bout another hour. The geyser is set to 55 deg.C. I do my washing up once a day, and most days this is the only other time that I draw hot water from the geyser (the exception is the day my cleaner comes, when it’s left on longer). Daily meter readings have proved that I do save power this way. Hot water’s cooling rate (loss) is higher than slightly warm water. (influenced by ambient temperature and how good insulation is) When geyser swtched off, heat will dissipate at a certain rate and gradulally lessens as the water gets colder. (not a linear graph) If left on, temperature will remain high,(provision for hysteresis) as set by thermostat, and cooling rate (loss) will also remain higher than at colder temparatures. It makes sense to me that more heat is lost at higher temperature than at colder temperature, so the geyser will work harder to keep the water hot, than letting it cool down and only let it heat up before usage. That is my understanding why I use less electricity by switching the geyser on/off with a timer. Dave Hart you make absolutely sense. Well done, Anne. Us too, I switch the geyser on at 15:00 and off at 20:00. It’s sufficient for 2 baths from 150 litre geyser. As noted in several comments, the statement that reheating a cold geyser uses more energy than maintaing the normal set temperature is completely wrong. The science required to prove this is taught in high school. The rate of energy lost from a geyser and it’s associated piping is proportional to the temperature difference between the water and the surrounding environment (Newtons law of cooling). Good quality insulation reduces the rate of energy loss. Reducing the temperature of the water (lower thermostat setting) is also clearly beneficial. The total energy lost from the system where the temperature has been maintained will always be greater than the energy lost from a system that has been allowed to cool down. The energy required to reheat the water depends on the physical properties of the water and the difference between the initial and final temperatures of the water. This is equivalent to the energy loss of a system allowed to cool naturally. From Eskom’s perspective, the time when people switch on their geysers is very important. If everyone switches on their geysers during peak demand time this increases the size of the peak demand. If the demand to exceeds the supply then blackouts occur. All very well, but am I expected to climb up ladders into ceiling via trap door to access my geyser to adjust water temp or swicth on / off geyser twice per day? I will try something different to save Electricity with my Geyser. We use Hot Water during the Day and because of replacing the Hot Water in the Geyser with Cold water I was thinking to Install a couple of Copper Pipes in my Roof in order to heat up the Cold Water in the Pipe’s before it goes to the Geyser. The only problem is during colder Days this would not help much but living in the Durban Area it would still save a substantial Amount of Electricity. The Cost Factor is also low in comparison to Solar-Heating and almost no maintenance. A thermostat turns your geyser element on when it falls 7 ° C below the set temp – eg Set at 55°C, it turns on at 48° and off at 55 °C. The key is when you turn it on and when you turn it off. Treat it like a kettle. Turn the geyser ON just before you need hot water ( maybe 1-2 hours). Then turn it OFF BEFORE you start using hot water. If you use 80 litres of hot water, it will be replaced by 80 litres of cold water in the geyser. This will means the geyser is colder than before for example 30°C, so it loses less heat to the air ( Geyser at 50°C loses far more than a geyser at 25°or 30°C). Brilliant and very helpful feedback – thank you. Also have to disagree with this – we saw a huge drop in our electricity bill by only switching the geyser on at certain times. As an electronic engineer I can assure you that switching your geyser during times when hot water is not required or while the water is hot saves substantial electricity. Exactly how much can be calculated and depends on :- how much hot warer your family use, The time of the day the geyser is switched on, the thermal insolation co-efficient of your geser, and the ambient temperature. The average saving is in the order of 15 to 20%. I have calculated it and tested it in practice. Solor geaser is even better than switching the geyser on and off. It will save up to 30% of your elect bill. However there are some tricks :- Convert to Solar when your geyser fails. (your household insurance will pay out about R 7000), Claim a subsidy from Escom when you convert to Solar (about R 5000). Your out of pocket cost may only be about R 3000. When the Solar geyser is installed the instaler is compelled to install a timer, which applies power to maintain a set temperature. This greatly reduces the saving. Switch the geyser trip in your Electrical board OFF and only switch it on when the water temperature drops below an acceptable level, eg on a rainy day. Also do not be talked into installing an “indirect system” they are far less efficient than a “direct system”, are more expensive and cost more to maintain as the heat transfer fluid has to replaced yearly. Hope this helps someone make decisions. Thank you for the great feedback. I’m sure other readers will find your advice very valuable. Great, constructive and informative advice. Any chance you could tell us who the “good guys” are out there? So many opportunists. I agree with the article and wish to say, the outsde temperatures also play a role. In winter the graduall release of heat inside the gyser is faster because of the cold outside than in summer. This might still result in a higher energy bill despite having left it on. The most important factor to consider on your geyser is heat loss. This is determined by many factors. Most important is the Temperature setting of the geyser. If the temperature is set to 80⁰C and the average ambient temperature is 17⁰C the temperature drops a lot quicker (63⁰ difference) than if it was set to 55⁰C (38⁰ difference) A timer on the geyser will provide the biggest saving when set to come on for 1 hour at 04:30 in the morning. In short the higher the average temperature difference the higher the cost. A good article and one practice I susbcribed to until I switched the electricity off permanently (from Sept. to May) upon the installation of a “solar water heating system”. The accrued savings have been in the region of 40% from day one in 2011 and have increased every year subsequenty as the new tariff kicks in on the 1st of July! Hi, over what period will you recover the cost of the solar system you installed from the savings of electricity cost? I recovered mine in two months and the rest was profit! This is not to say that the solar route is not a good one. The problem is that there are some less than reputable installers who do not understand all the technical details of solar installations, especially when it comes to heating water. I know of one person who had not saved one cent over three years after paying in excess of R18 000 for the system. The main advantage of solar power is that you are not affected by those annoying outages from the power provider. Sorry Jennifer but you are venturing into gross over-simplification territory. It just serves to confuse people. Best to leave this to technical people who are able to do the calculations related to the actual heated water used daily by the householder and the cost to heat as close to that amount of water only (and related required temperature thereof). You will be pleased to find that very significant savings are in fact possible. Thank you for this – the very issue that I have time and time harpered on myself – I also like the note that insulation should include the pipes (never even considered that myself) – Have passed on the newsletter to all my colleagues. You guys are always of benefit to us. Thanks again. Thank you 🙂 We are always glad to help. Thank you for passing on Paddocks Press to your colleagues as well! Have a great day. Agree 100 % with Athol, did the same ,the result a huge drop in electricity consumption. which timer switch is the right one, and how much does it cost? HI Athol, what timer did you buy, I have been wanting to install for a while now. Thanx. Ps< I heard a normal pool pump timer, works just as well. is this true? Mandy, I am no electrical expert but I do know that they are not all the same. The first one I had installed burnt out, luckily no damage. Go to a reputable electrical supply company and explain that you need the timer for a hot water cyclinder. They should supply you with the correct one. Another tip, spend a little more and buy a digital one with a battery back-up. The normal ones stop working when the power is off and you need to reset it every time. An interesting article, however I referred to the original text and found that you had left out the key section about “Peak Times” and the impact that can be exerted on the National grid if one employed timers that switched on geysers, swimming pools etc outside of Peak periods. Also to be considered is the fact that many complexes are monitored wirelessly by Eskom who charge those complexes based on their consumption during “Low”, “Standard” & “Peak” Demand periods. There is definitely a reason to limit usage during those Peak periods from an environmental & financial point of view. I think you might have misled people by leaving these facts out? Thanks for your valuable input, it will be useful to other readers. Hi, I was of the same impression until I tried it. I installed a timer (make sure it is the correct one – not all are) and set the power to come on for an hour in the morning before waking time, and an hour in the late afternoon. The electricity bill dropped by a third! Within two months I had more than paid for the timer. Hot water cylinders (geysers) are required by the SABS to keep water hot for a number of hours so, unless a large amount of hot water is used in “off” times, there should always be hot water. Great feedback – thank you for sharing! Athol, this strategy will also result in geyser damage, so save for repairs. This entry was posted on April 15, 2013 by Paddocks in Bathroom and tagged geyser energy conservation, save electricity, sectional title property.